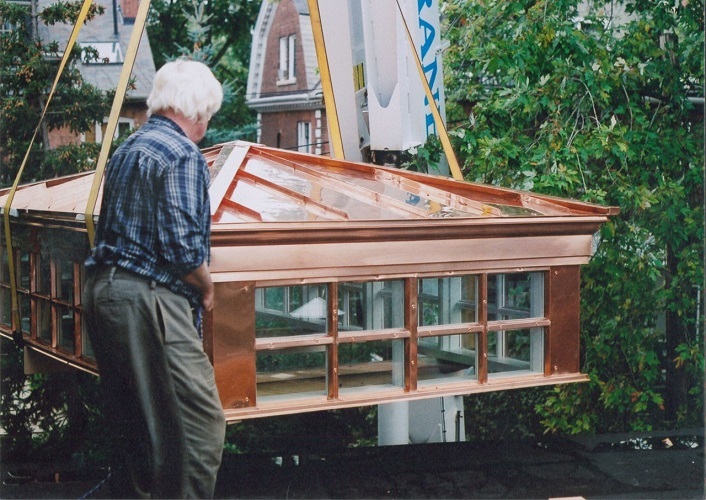 Delivery of Clerestory Cupola showing typical logistics of skylight and cupola installations. Many of our products can be shipped out fully assembled, to be craned rooftop on site. As such, the vagaries of weather and site impediments can be minimized.